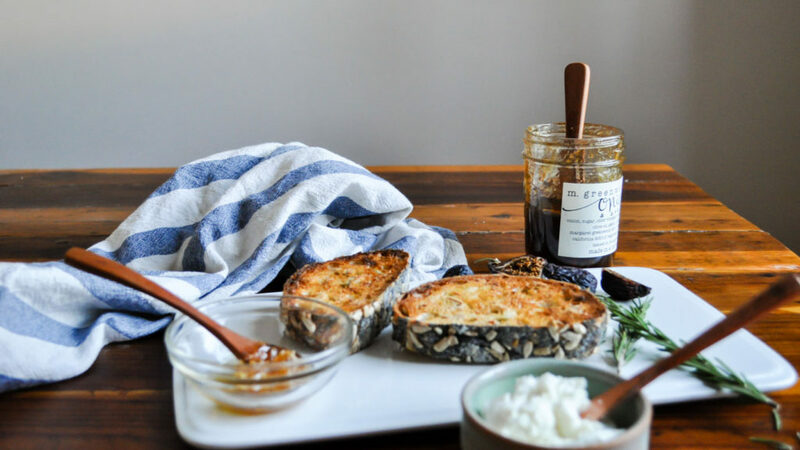 This sweet + savory ricotta toast is made with some of the most unique, yet easy to find, local and seasonal ingredients. There is a surprise in every layer and it's ridiculously delicious! 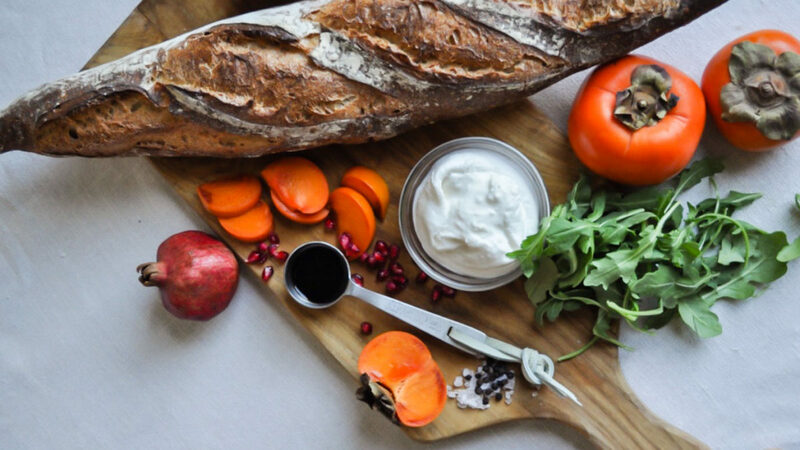 Great toast starts with great bread. If you can find it, choose bread that is made fresh daily with very few ingredients – unfortified flour, water, salt and natural yeast. 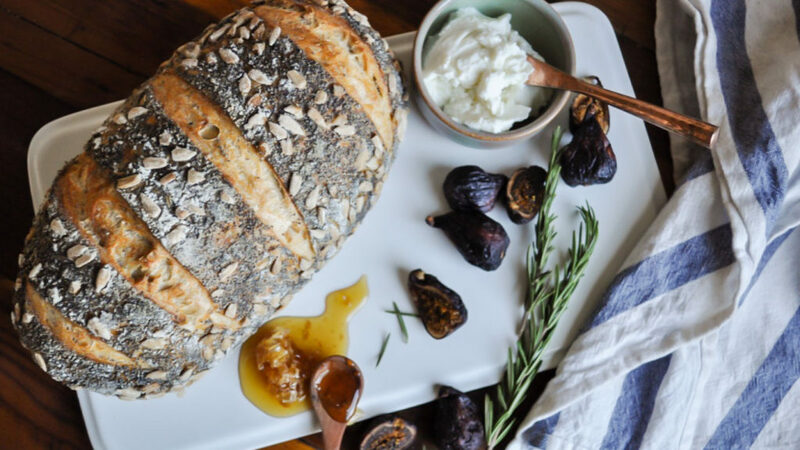 We chose the hearty, perfectly crusted Sunflower + Poppyseed loaf from LA-favorite, Bread Lounge to pair with a very special ricotta, dried figs, raw honey and an out-of-this-world savory jam. Oh. My. Lord. It’s good! And yes, we’re teasing you… read on for all the delicious details! What is the savory jam that we’ve been hinting at, you ask? It’s none other than M. Greenwood Jam’s Onion + Garlic Jam, and we generously spread it directly onto each thick slice of toast. The ricotta is light as a cloud and delicately flavored sheep’s milk ricotta from Bellwether Farm. They gather the whey leftover from making their popular San Andreas and Pepato cheeses, add cultures and then let the curds form slowly. It is then basket-drained producing the fluffiest ricotta cheese you’ve ever tasted. 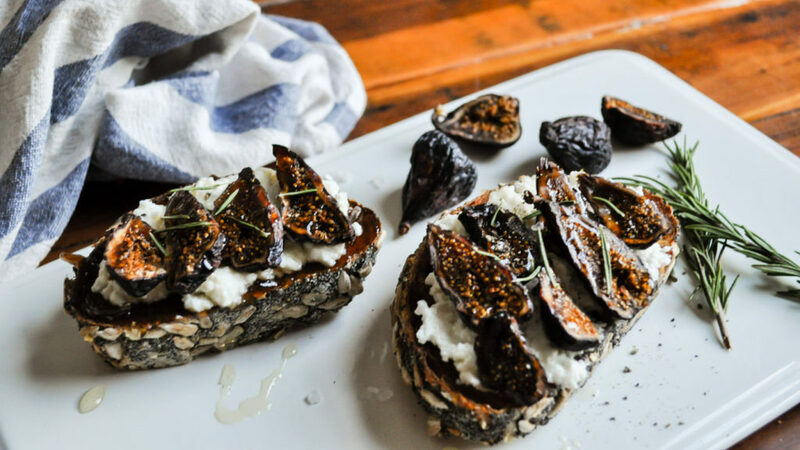 Perched atop the pillow-y ricotta are naturally dried Black Mission Figs from Arnett Farm. Though dried, they maintain a softness and have a wonderfully concentrated flavor. The Arnett family has been growing a wide variety of seasonal fruits for more than 100 years in Fresno, CA. Fresh fruit that doesn’t sell in-season is dried naturally on the farm and sold at farmer’s markets in what has become an epic dried fruit bar offering everything from these figs, to dried apples, peaches, pluots and so much more. In the late Summer and Fall months, if you are lucky enough to get your hands on fresh figs, wait until they are perfectly ripe (like soft balloons) and use them in place of the dried figs. 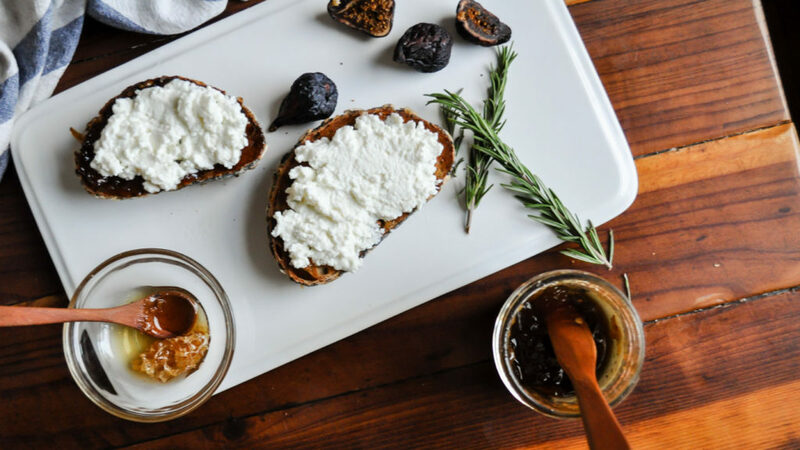 A drizzle of raw, unfiltered honey and a few sprigs of fresh rosemary complete the toast. 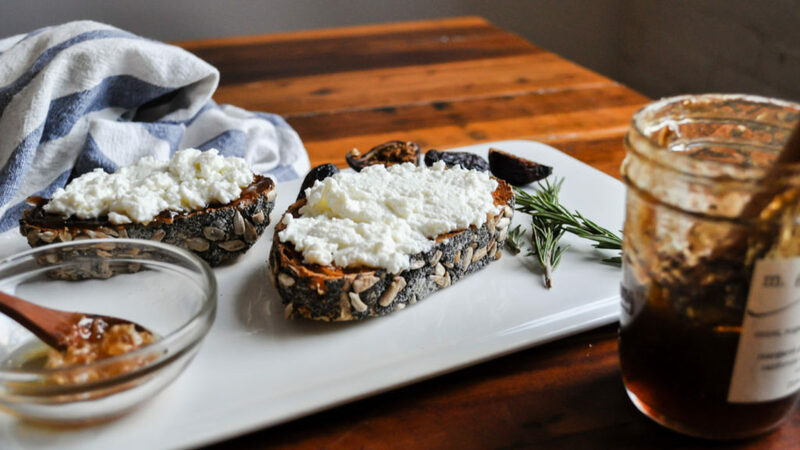 Enjoy it alone for a solo-breakfast, share it with guests at brunch, or take a cue from team L+M and enjoy it as an afternoon office snack with a glass of wine! Place a few fresh sprigs of rosemary around each toast, and sprinkle each with sea salt. Don’t live in LA and want to try M. Greenwood’s onion jam? 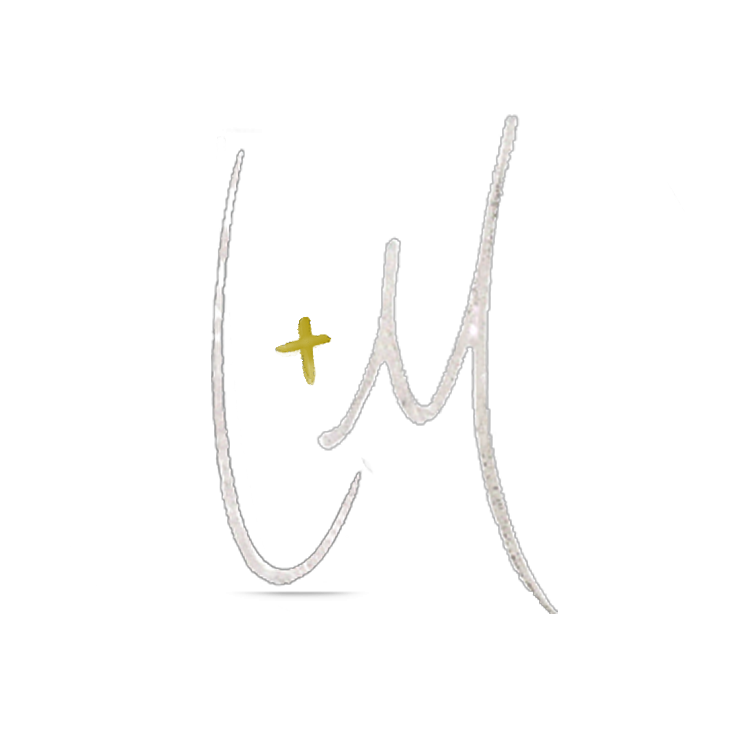 Visit the Leo + Matilda Shop!